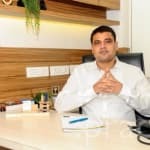 Dr. Gopal Bhatia is one of the most venerable Psychiatrists in India who is known for treating his patients with utmost care and sensibility. He has received a prodigious education before starting with his life-saving occupation. He completed MBBS (Sawai Mansingh Medical College, Jaipur) in 2001 and MD (in Psychiatry, Psychiatry Centre, Jaipur) in 2008. He has been a Senior Resident Psychiatrist in the Institute of Human Behavior and Allied Sciences in 2011. He has 16 years of experience in treating his patients. Dr. Gopal Bhatia is a member of IMA, Gujarat Medical Council, Ahmedabad Medical Association, Gujarat Psychiatric Society and Indian Psychiatric Society. He treats the manifold cases with services like Cognitive Behavioural Therapy, Anger Management Therapy, Electroconvulsive Therapy, Obsessive Compulsive Disorder treatment, treatment of Abnormal Behaviour, treatment of learning disorders and Epilepsy treatment. He provides his patients with a wholesome treatment for behaviour and thought problems, critical care procedures and management of emergency conditions.Dr. Gopal Bhatia is available at Ahmedabad Psychiatry Clinic, which is situated at F - 4, Jay Complex, Vitthal Nagar Cross Road of Shahibaug, Monday to Saturday, 9 AM to 8 PM. Besides, he also does text, phone and video consultations. What are antidepressants and mood elevators? Often depression or mood changes are caused by the imbalance of neurotransmitters in the brain. Anti-depressants or mood elevators are medications that are prescribed to patients with depression to alleviate their symptoms. Anti-depressants are not solely used for the treatment of depression, it is also prescribed in other psychiatric conditions which includes anxiety disorders, social anxiety disorders, obsessive compulsive disorder (OCD), dysthymia (mild chronic depression) etc. With time, the use of anti-depressants has been on the rise. Although, anti-depressants do not cure your depression, it relieves the symptoms of the same. Anti-depressants come in various types. The first one you try may not benefit you; however you must consult your doctor and find the right choice of medication for your condition. Adherence to the medication with proper guidance from the doctor has seen to decrease the symptoms of depression in the patients, leading them get back to their normal life. Under-treatment of depression can become fatal. If the depression escalates, suicidal tendencies can follow. Apart from these, suddenly stopping the medication has been associated with withdrawal symptoms which can get fatal in severe cases. In recent times, depression has become a common problem with the rise of fatalities caused by depression. As important as it may be to consult a doctor to get your symptoms diagnosed and get the right treatment, it is of equal importance that one adheres to the therapy and abides by the guidelines. Substance Abuse - Types And Causes! Substance abuse is used to describe abuse of a variety of things including tobacco, alcohol, and illicit drugs. These produce a feeling of false well-being and therefore often misused. These are stimulants and tranquilizers, which give a “happy go lucky” feeling and so are misused. Tobacco: The primary habit-forming ingredient in tobacco is nicotine. While it is commonly used for pleasure and as a stress buster, it also is a major contributor to a lot of health issues including heart disease, lung cancer, breathing disorders, infertility, peptic ulcers, depression, and sleep disorders. For someone who is addicted to smoking, quitting can lead to withdrawal symptoms including tremors, anxiety, and seizures. Alcohol: Alcohol depresses the depression center in the brain and therefore produces a feeling of high. Getting addicted to alcohol leads to reduced inhibitions, slurred speech, poor muscle coordination, and reduced cognitive skills. Withdrawal can lead to tremors, anxiety, hallucinations, and delirium tremens. Alcohol ups the risk for heart disease, cirrhosis of the liver, and cancer of the digestive tract. In addition, alcohol alters a person’s eating habits and leads to considerable weight gain. Illicit drugs (marijuana, cocaine, heroin, methamphetamines): There are a large number of these drugs, which are not to be used but unfortunately are. They are used in various forms including snorting, smoking, chewing, and injections. While most of them produce a feeling of well-being, it is transient, and in the long run, they reduce alertness, energy levels, cause confusion, vomiting, and abdominal cramps. They also affect the health of all body organs including brain, liver, heart, kidneys, lungs, muscles, etc. Sharing of needles also carries the risk of hepatitis B and HIV. The added concern here is the younger age group at which this problem is seen. All these could be indicative of an underlying problem, and if they are not open to a frank chat, medical help should be sought. It is definitely not easy to get them out but can be done, if they are willing to and have strong social support. 5 Steps To Overcome Compulsive Indecisiveness! It is important for you to let go and refrain yourself from analyzing whether a decision which you had taken is right or wrong. Instead, focus on activities which matter to you and do not ponder over old decisions. If you wish to discuss about any specific problem, you can consult a psychiatrist. 11 Symptoms Of Manic Depressive Disorder! Manic depression, also known as bipolar disorder in recent days, is a major mood disorder characterized by hypomanic or manic episodes (deviation from one's usual mood along with abnormally high energy levels). Mania involves sleeplessness, along with psychosis, hallucinations, rage, grandiose delusions or paranoia. Mania or hypomania isn’t usually harmful to the patient and they might exhibit increased capacity for work and creativity. Depressive episodes however, can be debilitating and often life threatening as the person becomes self-destructive and suicidal in many instances. The extent of mood swings can vary from extreme to very mild. They can occur progressively or suddenly and might last for few days to weeks. Patients affected by bipolar disorder may experience disturbances in thinking apart from depressive or manic episodes. Distortions of perception and impaired social functioning are also not uncommon. The cause of bipolar disorder is not fully understood like most mental health conditions and is often thought to be hereditary. The extent of the seriousness of the bipolar symptoms varies from person to person. In some people, the disorder is not full blown and they don’t exhibit all the symptoms. Others who aren’t that lucky might have to be hospitalized multiple times in their lives as the symptoms creep into their work and personal life and make living a normal life a tough challenge. Psychotic symptoms such as disorganized thinking, hallucinations and delusions might make a person do things that demand the urgency of hospitalization to keep them safe from their suicidal impulses. These symptoms might need to be urgently addressed by a psychiatrist and with the help of medications, the person might be able to regain control of their lives. Mood stabilizers, such as lithium are commonly employed to treat bipolar disorder. Anticonvulsants, benzodiazepines and anti psychotics can also be used in the treatment. Along with medications, support from family and friends is of the utmost importance as they need to help provide all the support required in making the person functional and healthy. If you wish to discuss about any specific problem, you can consult a psychiatrist. 6 Symptoms Of Depression And Its Treatment! Loss of Appetite: Loss of appetite is a common feature of depression; it can also lead to rapid weight loss. If engulfed by depression, one generally tends to ignore food completely, remain hungry, both of which contribute to the vicious cycle that depression is. Reckless Behavior: Depression makes one more prone to reckless behavior; one generally develops an angry and irritated persona; this in turn, may make one to exhibit reckless and rash behavior. Medications can always help: Medications such as anti-depressants are administered to treat depression. Selective Serotonin Reuptake Inhibitors (SSRIs), including citalopram, fluoxetine and sertraline are the most commonly administered medications to cure this condition. However, it is advised to try the abovementioned methods first so that you do not have to depend on medications alone; the reason being that these medications do have their fair share of side effects. We all have mood swings but not all mood swings have the same intensity. People who have extreme mood swings ranging from depression to manic highs are said to be suffering from bipolar disorder. These extreme moods are known as episodes and usually, last for a few days or even a few weeks. A person suffering from bipolar disorder could have an episode several times a year. This is a very common psychological problem and can affect both children and adults. Though it cannot be cured, this disease can be managed with medication. It must be kept in mind that a person must display at least 4 of the above symptoms simultaneously to be diagnosed as bipolar. Also, none of these symptoms should be a result or side effect of any kind of medication, drugs, alcohol or other intoxicants. Bipolar I: In such cases, the person has at least one episode of elevated moods and associated abnormal behaviour in his or her life. This may be preceded or followed by depressive episodes. Bipolar II: In these cases, the person must have suffered from at least one depressive episode. It is very similar to bipolar I except that in bipolar II the highs never reach the manic stage. Rapid Cycling: Some people can have 4 or more manic and depressive episodes a year. In such cases, they are said to be rapid cycling. This condition affects 10-20% of bipolar cases. Mixed Bipolar: Usually, bipolar patients show mood swings that alternate between manic and depressive moods. However, sometimes a person may experience both elation and depression simultaneously or in rapid succession of each other. These cases are known as mixed bipolar. Once diagnosed, bipolar disorder can be managed with a combination of medication and psychotherapy. In some cases, electroconvulsive therapy may also be needed. Start day with gratitude. Include physical activity in daily schedule. Read a book daily. Avoid extra planning. Congratulate yourself over small victories also. Devote some time to family also. Control mobile time. Have good sexual life. Stay connected with people and nature around.